Like most dog owners, you are probably continually looking for new ways to spoil your pet and show your furry friend how much you love them. 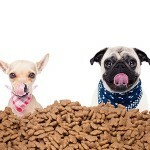 We hope our last weeks’ post about what human foods dogs can eat gave you some ideas on how to reward your dog. 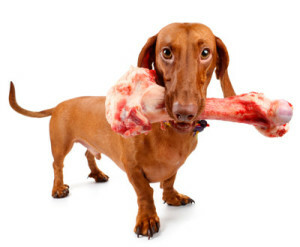 Bones are often seen as rewards for dogs. We have often heard questions like “Can you give dogs cooked bones?” or “Can dogs have cooked lamb bones?”. 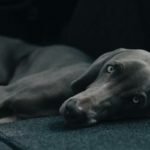 While it’s tempting to throw a bone to your dog after your Saturday roast dinner, no matter the size of the bone – cooked bones can be dangerous, even deadly for your dog. Always feed your dog RAW bones. The cooking process makes bones hard & brittle, increasing the likelihood of choking and internal injury to your dog. Bone gets stuck in intestines and causing blockages. Peritonitis – this is a nasty and very difficult to treat bacteria infection which is caused when bone fragments poke holed in your dog’s stomach or intestines. Dogs love to chew raw bones. It provides them with mental stimulation, but chewing is also a great exercise for the jaw muscles. But even when giving your dog a raw bone, it is still recommended to supervise your dog eating it. The bone must be large enough so that the dog cannot fit the whole bone in its mouth or swallow the bone whole. 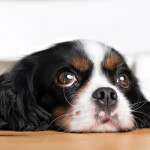 Also, do not allow your dog to chew it down to a small chunk they can swallow – these can also lodge in the gut. Bone’s nutritional benefits to your dog are derived from the soft tissues attached to the bone such as meat, cartilage, fat and connective tissue not from the bones themselves1. 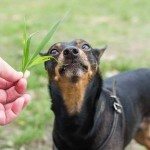 So it’s important to toss the old bones that don’t have any marrow or meat left – even though your pooch might enjoy gnawing on it, it can become brittle and break apart. And while raw meaty bones such as raw lamb ribs (not lamb chops though), raw lamb flaps and raw chicken wings provide several important health benefits including keeping teeth and gums healthy, they are also oh so yummy for your furry friend! Dogs ‘like’ bones very much and sometimes become protective. RSPCA cautions2 to take care and discourage young children and others from approaching dogs that are eating. 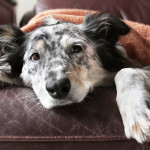 Don’t give your dog bones if they have a predisposition to pancreatitis. Raw bone marrow is very rich and can cause diarrhea and a flare-up of pancreatitis.